Arsenal Pink Perfume by Gilles Cantuel, One of Gilles Cantuel most iconic perfumes is the bold and passionate Arsenal Pink . This fragrance perfectly balances sweet fruit and muskiness with its unforgettable design. A blend of melon, peach, orange and freesia opens the scent. The floral heart includes notes of orange blossom, heliotrope, jasmine, lily and magnolia. The base notes conclude the aroma with vanilla, caramel, sandalwood, vetiver, patchouli and musk. 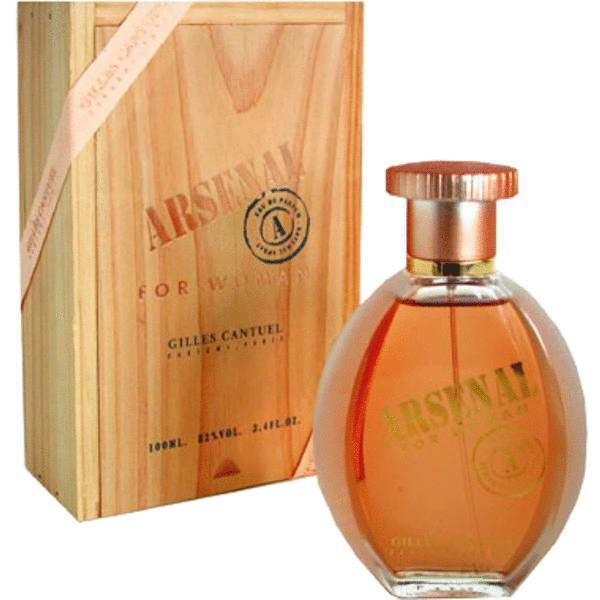 The Arsenal collection consists of Read More Read More some of the best-selling fragrances produced by Gilles Cantuel. This perfume company is based in Paris, France and has developed a variety of unique and sophisticated scents. The brand prides itself on its foundation in art and design, and it seeks to create fragrances for all types of people and personalities. The company was established in the early 1980s and has produced many successful perfumes and colognes. In 1996, the Arsenal cologne was launched with great success. This best-selling fragrance preceded many additional Arsenal products with the bold tagline “arm yourself with seduction.” All products are original, authentic name brands. We do not sell knockoffs or imitations.